Welcome to Memoria Palace & Resort! 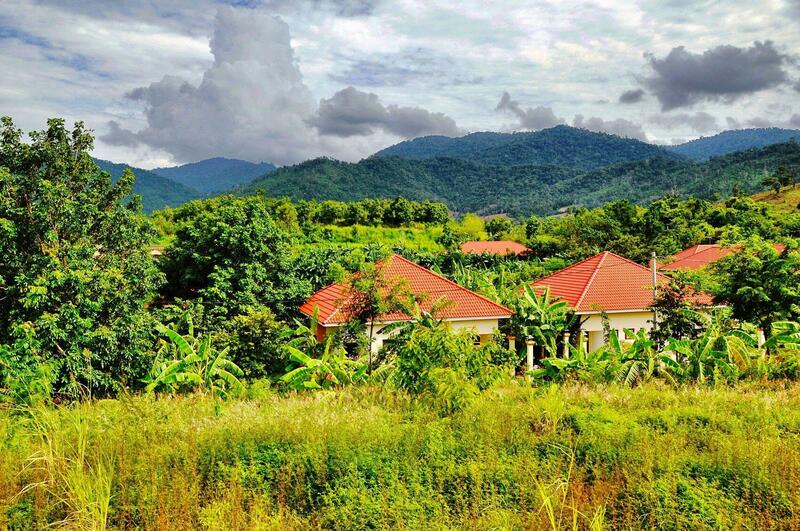 Memoria Palace is nestled on a cozy northern hilltop on the edge of the Cardamom Mountains in northwestern Cambodia. Memoria is a beautiful boutique eco-resort offering simple, memorable experiences and personal rejuvenation. The tranquil comfort of the lush green natural beauty of the resort property and surrounding area creates perfect environment for retreat, relaxation, adventure and outdoors along with quality time with family and friends. Memoria is a cozy hideaway with an inviting appeal. The resort's vast incredible natural wonder draws you to relax and discover the untouched beauty of the surrounding Cardamom Mountains and foothills. Your senses perk with the magnificent views across the countryside, fresh clean air, beautiful scent of nature, idyllic and bountiful farmlands, invigorating breeze off the mountains, and unforgettable sunrises and sunsets. The resort is stretching over 15 lush and green hectares, awaiting your arrival. The resort includes 16 cozy bungalows, 3 unique thatched Eco-lodges, hilltop salt water swimming pool, restaurant & bar, conference room/rehearsal studio, two small lakes, botanical and organic gardens and of course the vast beauty of the Cardamom Mountains and welcoming and friendly residents. Memoria Palace & Resort’s facilities are perfectly suited for planned and unplanned getaways, retreats, adventure travelling, weddings, receptions, conferences/events. We can accommodate groups of various sizes. Come visit us at our beautiful, quaint and cozy resort. 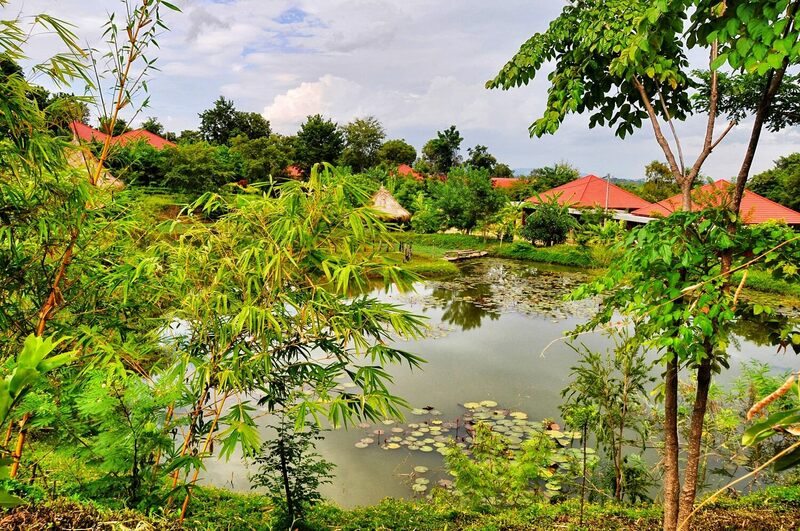 Let yourself be surrounded by Cambodia’s picturesque and peaceful natural surroundings, calming breeze, delightful charm of the secluded area and delightfully friendly locals. Pailin province, known for gem mining, is an unspoiled city that allows visitors a glimpse into the real Cambodian life of the once war-torn area. Thus, Memoria offers a number of guided and planned tours to take you in the natural beauty of Cardamom Mountains of this province. Ban Pakard/Phsa Prum Border crossing offers you an alternative way to enter/exit Cambodia with its hassle free border crossing and easy access to Koh Chang, Rayong, Pattaya, Bangkok, Battambang, Siem Reap and Phnom Penh. We hope you will enjoy your stay with us. If there is anything we can do to make your stay more pleasant and enjoyable, please do not hesitate to call us at 015-430-014/015-430-013. We wish you a memorable stay at the Memoria Palace & Resort.